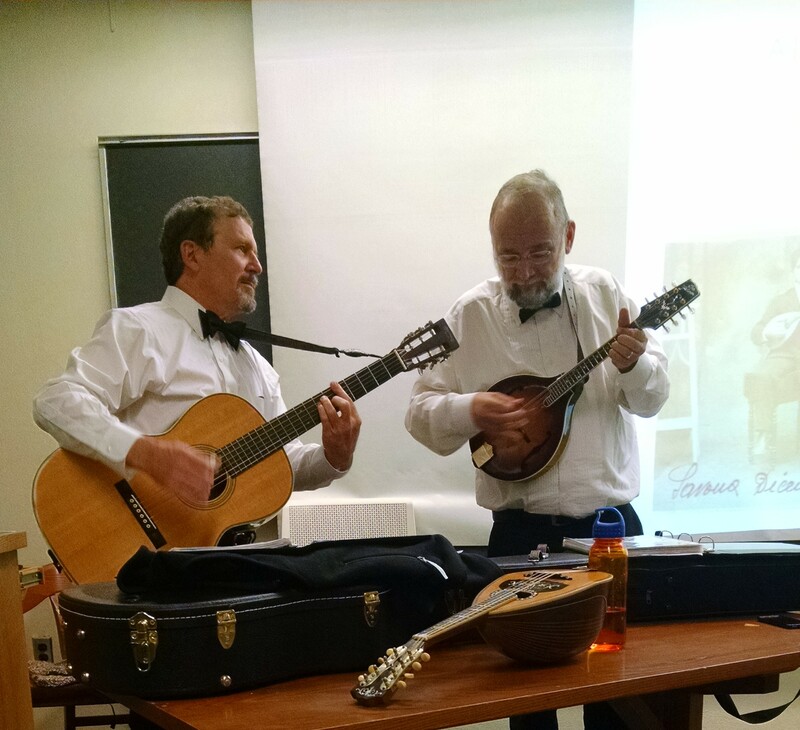 This ensemble duo, Paul Oorts and Jay Benforado, specializes in Italian American mandolin music from the early 1900s. The combination of two mandolins and guitar was very popular in those days to play for small social gatherings (weddings, first communion parties …) and a lot of music was published for it. 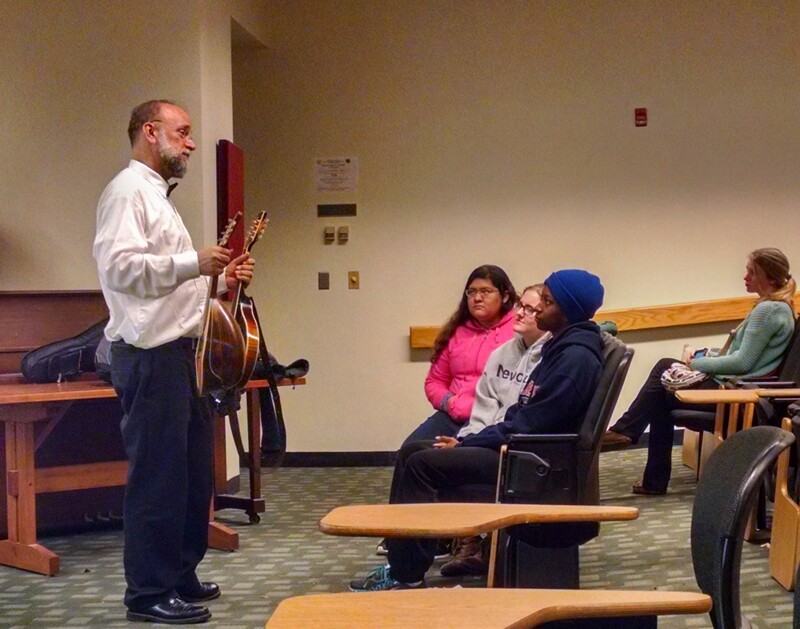 Often the ensemble consisted of a mandolin teacher with one or two of his best students. The Rigatoni Brothers played illustrative examples of various musical forms that were in vogue (marches, tarantellas, schottisches, mazurkas …), and related them to the events and cultural and political context of the times. This sheds an interesting light an various aspects of the lives of ordinary Italian Americans: their culture shock, their reaction to news from the home country, their political bent, their social lives, their financial ventures, their ethnic identity under siege, and their pride in their new citizenship. Evviva gli sposi, (long live the bride and groom) a schottische by a New York mandolin teacher. The Spaghetti Rag, by Lyons and Yosco, Italian-American performers on the Vaudeville circuit. 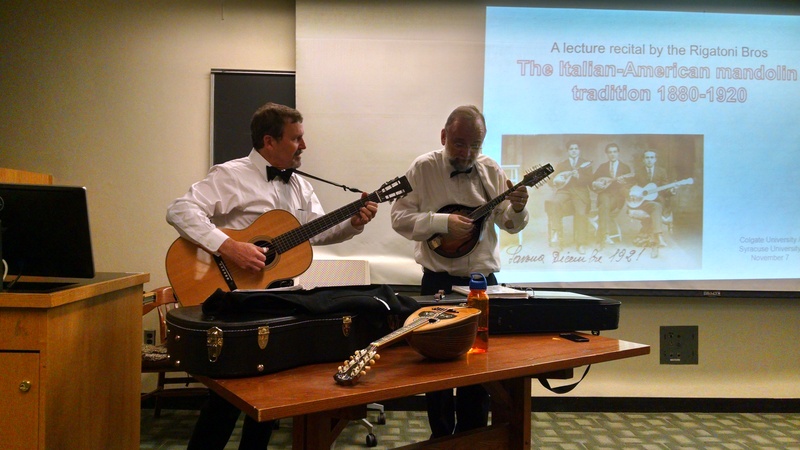 La Bella Parthenope, an example of a Neapolitan piece adapted to mandolin trio by an American arranger.